If you want to read the following page but do not want to include your name on the prayer list, follow this link. Body, Soul and Spirit form a unity and cannot be separated, but they can be distinguished. There is no perfect way to describe the human trinity, but we can distinguish the human trinity, Spirit, Soul and Body and their functions, by their behaviour. The computer is an example of illustrating the difference between spirit, soul and body. The outer, visible part of the computer is called the hardware. This consists of the electronic machine, and brain of the computer. The inner, invisible part of the computer is called the software. 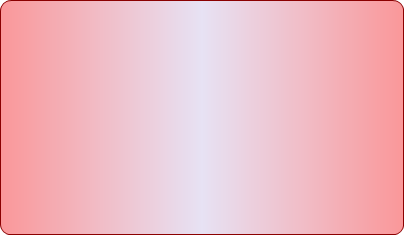 This consists of the programs and data of the computer. The third part of the computer is its electric power. This is the source of life of the computer without which the computer cannot function. In exactly the same manner, the human body with it's organs is the outer and visible part, and can be compared to the hardware of the computer. The body is where man's physical and environmental consciousness are seated, and is represented by the senses. With our senses, sight, hearing, taste, smell, and touch, we communicate with our environment and the physical world, and the physical world communicates with us. My body provides me with consciousness and information about the world and my environment. My senses are by nature the primary source of everything that is contained in my Soul or Mind, as we will see below. Psychology, says the dictionary, is the `science of mind'. The word `psyche' (which comes from the Greek word, 'psuché') means: soul, or spirit, or mind - according to the dictionary. Another word for Soul can therefore be 'Mind'. 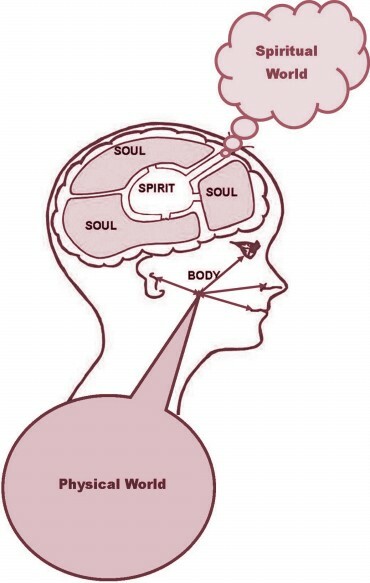 The Soul or Mind is expressed as our personality and can be compared to the software or programming of a computer. The Soul is the origin and seat of our behaviour. The soul dictates how we respond to communication from the physical world or the spiritual world. 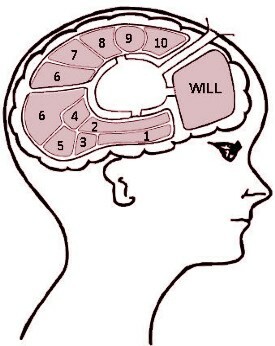 This is where our self-consciousness is seated, and is represented by the Will, Intellect, and Emotion. Through our Will, Intellect and Emotion we communicate with ourselves. The spirit is man's source and sustainer of life, and can be compared to the electric current that flows through the computer's electronic network. This is where our spiritual consciousness is seated. Through our spirit, we communicate with the spiritual world, and the spiritual world with us. The Spirit is the basis of every human being and encompasses the Soul. The spirit is not separated from the Soul, but actually includes the Soul. Therefor, when we speak of the spirit we do not want to separate it from the Soul, but distinguish it therefrom. In the same way my senses bring me into contact with the material world, my spirit brings me into contact with the spiritual world. As we have said, man's spirit is where his spiritual awareness is seated. At this point in time it is advisable to say something about the spiritual world. The author of this article believes in God and as such in the existence of a real spiritual world. If you don't believe in God or a spiritual world, this article will probably be of little value to you, since you will be denying the very existence of the spiritual dimension of humanity. With the above as background, the reader must take cognicance of the fact that a real spiritual world exists which is only recognisable through the human spirit and not through the physical senses. We will return to the spirtual world in more detail at a later stage. Let us now look at the composition of the human Soul in more detail. My Will is the key of my personality. This is my ability to make my own decisions and to exercise my own choices. My Will differentiates me from a robot. My Will makes me a sovereign entity. My Will is the head office of my decision-making ability. My Will is the driving force of my life. 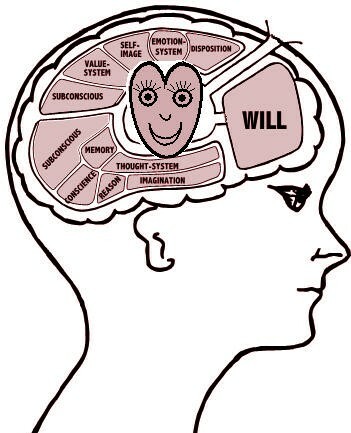 People are driven by their Will - our Will to live, our Will to succeed, our Will to have, our Will to love, etc. The Will is where the throne room of human nature is seated! 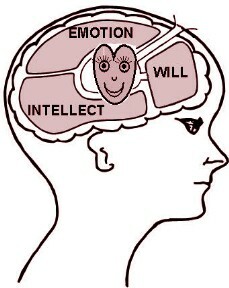 The Intellect and Emotion each respectively consists of a variety of areas. It is important to understand that we distinguish these areas for the purpose of illustration alone, and that the brain cannot be divided into these compartments either physically, biologically, or chemically. The Intellect is the thinking, analytical, and reasoning faculty of my Soul or Mind - that dimension where information and knowledge are assimilated, processed and stored. My Emotion is that dimension of my Soul or Mind that controls my emotional life. The Thought-System is that area of my Intellect where my conscious thinking occurs and my current conscious thoughts are seated. One can illustrate this with the contents of the document or app I am currently using on my computer or mobile phone. The Reason is that area of my inner man where my logic is seated. It is through my Reason that I accept a thought as logical or illogical. It is through my Reason that a thought makes intellectual sense to me or not. It is through my Reason that I decide whether an answer is mathematically or scientifically right or wrong, possible or impossible. It is through my Reason that I either understand a subject or I don't. It is my reason that enables me to argue the validity of a thought. The Conscience is that area of my Soul or Mind where my morality is seated. It is my Conscience that enables me to decide whether something is morally right or wrong, acceptable or unacceptable. Every human being is born with a conscience. However, how the conscience functions, depends on how it has been taught and under what influence and control it is functioning. The Imagination is that area of my Soul or Mind that enables me to visualise and create thoughts of my own. In my Imagination I can visualise a picture of what I am reading or hearing. In my Imagination I can also create and visualise thoughts and feelings without any external source. Through my Imagination I can think about things and experience feelings that do not exist except in my own mind, up to the point where they appear so real to me that I really believe that they do exist! The Memory is the logistical headquarters of my Soul or Mind. The Memory is the information centre of my Soul or Mind. The Memory is the conscious part of my Soul's filing cabinet. The Memory is that part of my inner man that enables me to remember. The Subconscious is the filing cabinet, storehouse, archive, or data base of my Soul or Mind. The Subconscious is where all the knowledge and information I have accumulated from birth, are stored. All the scenes, movies and videos I have seen; all the books I have read; everything I have looked at, all the music I have listened to, all the conversations I have had, all the experiences I have had, and all the emotions I have experienced, etc., etc., are all stored in my Subconscious. Everything I have been exposed to from birth, are being stored in my Subconscious like the data on the magnetic disk of a computer, or the files in a filing cabinet. The fact that I cannot consciously remember everything, makes no difference to the fact that it is all stored there in the Subconscious! The Subconscious however, cannot feel, think, reason, calculate, or make decisions on its own without the Reason and the other functions of the Intellect and Emotion. Whatever is placed therein, is stored there - and that is all. This is the reason why the years of a child's upbringing before he can reason and think for himself, are the most important years in the formation of his character. Everything a young child is exposed to, passes unhindered to his Subconscious, since he accepts everything he sees, hears and feels, without question and without reasoning about it. For this reason a child's independent Will can be most effectively disciplined, harnessed, and sadly also indoctrinated during his youngest years. The Subconscious also plays an important part in the schooling and learning process of a person. Repetition is a very important method of learning. The sub-conscious is also formed or inclined in a certain direction through repetition. Let us look at an example. The first time a person drives a car, he must carefully concentrate in order to perform the right actions. However, after a period of practice he unconsciously performs the right actions, and can even do other things at the same time, like talking on a mobile phone. The actions of driving a car are now imbedded in his Subconscious. There are also other factors that can play a role with the formation of the Subconscious such as Trauma, Shock, Impact, and Credibility. For this reason a person who had a traumatic experience as a child (such as divorce of parents, sexual harassment, conflict, rejection, violence, or an accident, etc. ), may experience serious spiritual problems if he or she does not know how to deal with these problems. The Self-Image is that area of my Soul or Mind which determines how I feel and think about myself. My Self-Image is the seat of my self-love, self-esteem and self-confidence. The Self-Image is indeed a powerful force of man's personality. By means of the Self-Image man can be motivated to enormous earthly achievements, but also to commit many atrocities. Aspects that are closely related to my Self-Image are my pride, my honour, my reputation, my rights, my desires and ideals, and my abilities and talents. My Value-System is that area of my Emotion that determines my personal affections, my preferences and disapprovals, my likes and dislikes, my qualifications and disqualifications, my sympathies and antipathies. My Value-System includes my love for my husband, wife and children, my family and friends, my country and nationality, my culture, my occupation, my sport and hobbies, my possessions, my TV programs - yes everything that are precious to me - all my affections. As already mentioned, it also includes all my dislikes, disapprovals, disqualifications and antipathies. We speak of the Emotion in two senses - a broad sense and a narrow sense. In the broad sense, the Emotion incorporates all the emotional faculties of the Subconscious, the Value-System, the Self-Image, the Emotion-System, and the Disposition. Here we are speaking of the Emotion in the narrow sense. 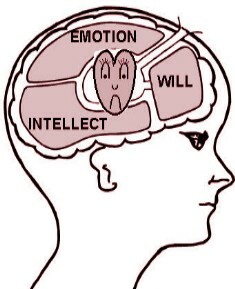 My Emotion-System is that area of my inner man that determines my feelings. My Emotion-System is the seat of my joy and happiness, sadness and sorrow, frustration and irritation, shame, fears, depression, calm, etc., etc. 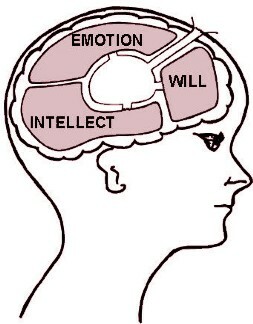 My Emotion-System is affected by all the other areas of my life, namely my Spirit, Will, Intellect, Emotion, as well as my senses. We will look at a practical example shortly. My Disposition is that area of my Emotion where my personality is expressed outwardly. My Disposition determines my outward expression to my inward thoughts and feelings. This is where I respond to my inner feelings. In other words, if I feel sad, my Disposition can accept that feeling and react sad outwardly, or my Disposition can reject the feeling of sadness and react cheerful outwardly. My Disposition is also that area where my attitudes are expressed. It is that area of my Emotion that gives expression to my inner feelings in the long run. It is my Disposition that reveals whether I am a moody person; a short-tempered person; a loveable person; a proud person, a soft-hearted person, etc. My Disposition forms a certain pattern in reaction to my Emotion-System that finds expression in my nature or personality. For this reason it is possible to anticipate a person's reaction to a certain action, because his Disposition gives him away. For example, Mrs X is a very touchy person. The slightest feeling of hurt in her Emotion-System is expressed as self-defence in her Disposition. How does all this work in practise? Let us now look at a practical example. 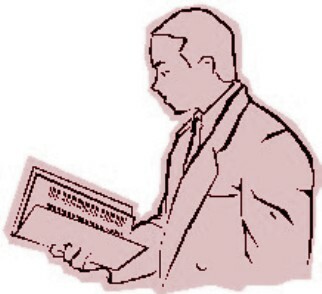 Mr A reads an article in a magazine or newspaper, or listens to a conversation on the radio, or watches a TV program. Whatever he reads, hears, and sees are immediately transmitted to his Soul or Mind. His Thought-System, Reason, Conscience, Imagination, Memory, Subconscious, Self-Image, Value-System, Emotion-System, and Disposition, are all immediately involved at the same time. Through his Thought-System he thinks about, or meditates on what he sees, reads or hears. Through his Reason he processes the information analytically and accepts it as fact or fiction. Through his Memory he connects the information with what he already knows about the subject and draws certain conclusions. Through his Conscience he classifies the information as morally and ethically acceptable or unacceptable, good or bad; and through his Imagination he visualises the information. His Subconscious further connects the information with experiences he has had in the past, and sends out a negative, positive, or neutral signal. His Self-Image reacts positively, negatively, or neutrally to the information, and his Value-System further sorts the information as sympathetic or apathetic. All of this create within his Emotion-System a certain feeling or emotion, while his Disposition transforms the emotion into a certain bodily expression. During each of these stages above, the Will played a decisive roll in determining the status of each thought, and allowing it to proceed to the next area of the Mind before culminating in an outward expression or action of the body. Before we go any further, I have to reveal to you the primary source of my information, because from this point onwards I am going to quote liberally from this source, as the secret of holistic wellness is contained therein. My primary source for this exposition of the trinitarian make-up of humans is the Holy Bible. At the risk of losing or offending some of you, I must tell you that I believe that the Bible is only inerrant Word of the Living God, and that it contains the only long term solution to holistic human wellness! The word 'holistic' is a modern word that is being used by different people to convey a taylor-made message. However, the word 'holistic' simply means 'complete' - body, soul and spirit - and the Bible contains the only and true secret of holistic human wellness. In another article I explain this more fully, and if you would like to know why I believe the Bible contains the only true secret of holistic wellness, follow this link. Dear friend, do you know that you have been created by God - in His image? In Genesis 1:26 we read: "Then God said, "Let Us make man in Our image, according to Our likeness;..." And Psalm 139:13-16 says: "For You formed my inward parts; You covered me in my mother's womb. I will praise You, for I am fearfully and wonderfully made; ..."
Don't you think that your Creator knows the secret to your holistic wellness? Don't you think that your Creator has the answer to every problem that troubles your mind? Don't you think that your Creator knows why you are living in spiritual poverty? God has a perfect plan and purpose for your life - holistically - physically and spiritually. If you are interested to know how to be born again (spiritually) and want us to pray for you that God will reveal His purpose and plan for your life, please complete and submit the form below, and you will be directed to the following page: How To Enter Into A Personal Relationship With God. We would also like to send you more information on how to find God's plan and purpose for your life - free of any charge or obligation! This secret of holistic human wellness is contained in a message called the Gospel of Jesus Christ. The power of the Gospel is founded on the historical fact of the death and resurrection of Jesus Christ - God incarnate in a human body. If you understand the human trinity as described above, you will also understand the Trinity of God - Father, Son and Holy Spirit. Because Jesus Christ was resurrected from the dead and is alive today, the Spirit of the Living God can now indwell your human spirit through the sacrifice of Jesus Christ on the Cross of Calvary. This is where the importance of understanding the function of the human spirit and the spirit world comes in to play. Jesus Christ wants to make you spiritually alive for God and His Word, renewing the faculties of your Soul or Mind. He wants to reveal His heavenly plan and purpose in and through your life - Spirit, Soul and Body - through the miracle called the new (or spiritual) birth! The new or spiritual birth is the only entry point to a new and dynamic life with Christ - and without it you will die in spiritual poverty and under the curse of God. In the following article, How To Enter Into A Personal Relationship With God, we are going to show you step by step how to enter into God's dynamic plan and purpose for your life and how to be born spiritually; and how it is possible for your Mind - Will, Intellect and Emotion - to be renewed by the life-giving and renewing power of the Holy Spirit of God. 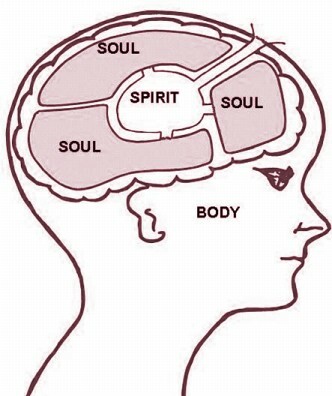 Every human being is made up of a trinity - Body, Soul and Spirit. This trinitarian make-up of the human being is not only a philosophical issue of interest primarily to academics or counsellors.This trinitarian human make-up is an indisputable fact and a reality that needs to be properly understood by every person, if you are looking for answers to life. Understanding the human trinity is of primary importance to individual human well-being. Sound mind and emotional wellness cannot be achieved without a proper understanding of the human trinity. A sound understanding of the human trinity holds the key to proper understanding of human psychology and wellness. My Biblical treatise of the subject of the Human Trinity is included in the Christian Discipler. If you are interested in reading it you may download it free of charge from the link provided.